who use WellTrack to take control of their mental health. WellTrack is designed to help you understand your mental health and to provide you with the help that you need right now. 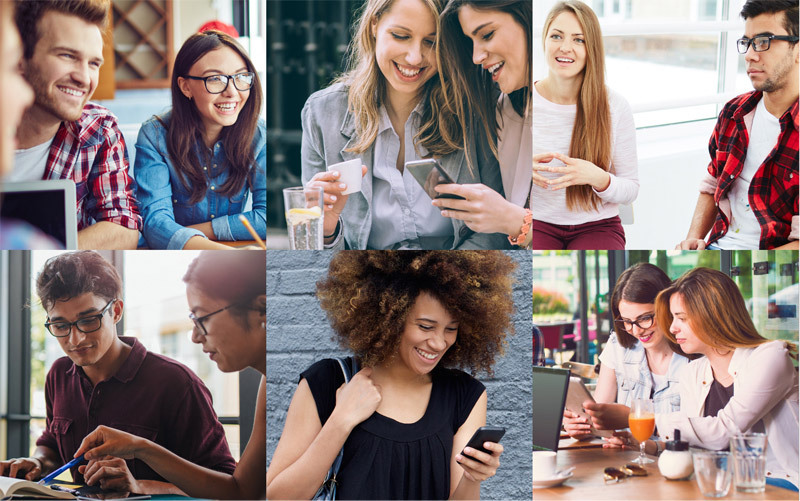 WellTrack is a suite of online tools and courses that uses aspects of Cognitive Behavioral Therapy to help you identify, understand and address issues that you are having. WellTrack can help you get better and maintain your mental health in five easy steps. Our Wellness Assessment will help you understand and track your levels of stress, anxiety and depression. Awareness of how your mental health changes over time will help you keep things in check. All WellTrack courses are based in Cognitive Behavior Therapy. We help you tackle the most common mental health issues like stress, anxiety and depression. Getting better takes some effort and WellTrack is here to help. Our interactive, self-help tools use elements of Cognitive Behavior Therapy, Acceptance and Commitment Therapy and Mindfulness. From passive engagement to high intensity, there is something for everyone. Zen Room: Practice guided and self-relaxation in our customized relaxation room. MoodCheck: Track your mood and understand how the things you do throughout the day affect the way you feel. Activity Scheduler: While using WellTrack, you are encouraged to schedule pleasurable, social and achievement activities. We make it easy to do this! Fun and Achievement Tracker: After you’ve completed scheduled activities, use this tool to understand how certain activities can boost or decrease your feelings of happiness, fun, and achievement. Cognitive Distortions Quiz: In the WellTrack self-help therapy courses, you are introduced to seven different types of unhelpful thinking styles. Use this quiz to help you understand each one. Thought Diary: Use this tool to help you identify real-life situations where you were using unhelpful thinking styles, and learn how to adapt your thinking in these types of situations. Mood Heatmap: See your MoodCheck entries displayed on a scatter graph. Click any of the dots on the graph to see the entry you logged. 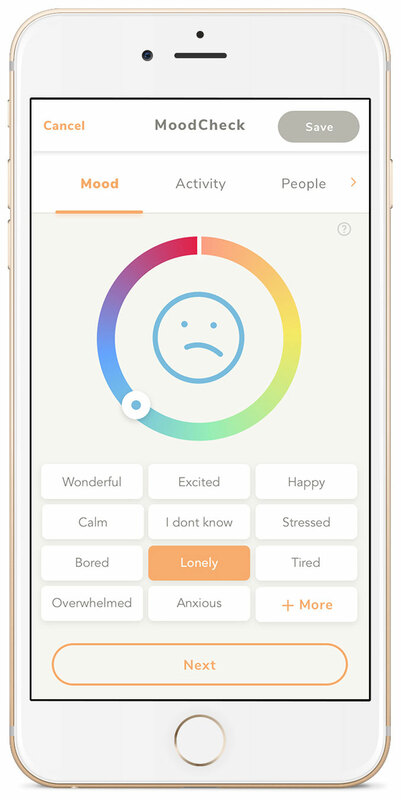 Mood Indicator: Mood Indicator identifies regularities and patterns in your behavior. Get feedback related to how you spend your time, and how it makes you feel. Wellness Assessment: By regularly completing a Wellness Assessment, track how your levels of stress, anxiety and depression are changing as you use WellTrack. Performing regular assessments, practicing relaxation and tracking your moods will go a long way to helping you maintain tip-top mental health. "I found that the services provided by WellTrack can be a positive reinforcement towards mental health challenges. The Wellness assessment is a great tool for those who look to understand their mental well-being." Amazing people, Inspiring stories and YOU!